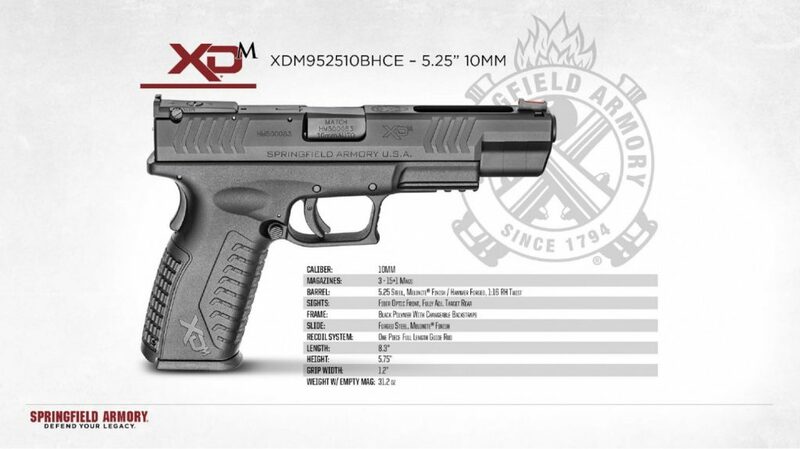 Springfield Armory has released the XDM in 10mm now. It’s available in two flavors, 4.5″ and 5.25″. The service sized pistol has a fixed rear sight and a fiber optic front. While the 5.25″ pistol has a fiber optic front sight and an adjustable rear sight. It also has a big long open port in the stop of the slide, that I’m not a fan of. First off, Fiber Optic front sight posts annoy me. I hate them. It’s a cheap sight and I can’t stand them on any gun I own. I’d much rather have seen them use pretty much any other sights. 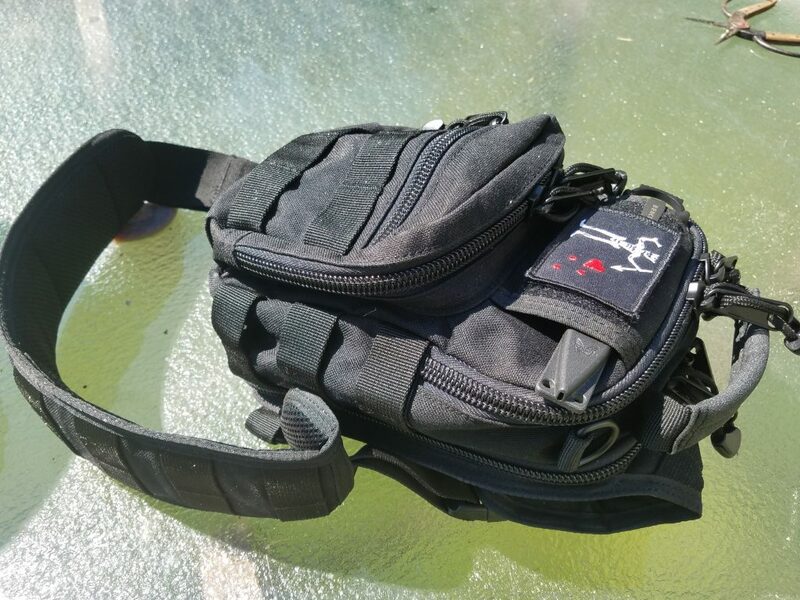 But no matter… I’d put Trijicon HD’s on these things regardless. I’d also liked to have seen a threaded barrel. Or at least throw one in the box with the pistol as an extra option. I know Springfield is just testing the waters, but I’d have liked to have seen them take the test seriously. What they did take seriously though is the 10K Run they put the gun through… a claimed 10,000 rounds without a failure. If true, that’s impressive as hell. I hope that this is a signal that 10mm is becoming more mainstream. The EAA guns are finicky, the 1911’s can be expensive and or finicky, and the SIG’s are expensive and can be hideous looking in that camo for the Hunter version. Is that Kryptek? That’s the Nickleback of Camo. Don’t buy that one. So really if you want to spend less than a Thousand Dollars, really the only viable option for a reliable 10mm is the Glocks… and now the XDM’s. It’s good to have options.